Happy Thanksgiving week all! While you are devouring the Turkey, Mac and Cheese, Stuffing, Pies and Cakes, take a break and enjoy a snack of our latest power rankings. 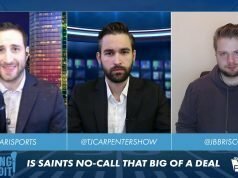 Who can unseat the Saints? How far do the Chiefs fall? And where do the Redskins go now that Alex Smith is out for the season? Find out now! Arizona Cardinals: Really Cardinals? You are going to lose a home game to a team that looks like it is TRYING to lose? Josh Rosen is playing like a rookie, they are not developing him at all and they still refuse to give David Johnson enough opportunities as the best player on the field. What a brutal showing and very worthy recipient of #32. Oakland Raiders: Mazel Tov you won a game…against #31. It will be must-see TV to see how Gruden shapes this team in the offseason. Is Carr back? Any coordinators back? Who will play running back and receiver? What a mess. San Francisco 49ers: The 49ers drop two spots despite not playing a game. Why? Cause with Nick Mullens likely back under center this week, their outlook is bleak to win. Not to mention the lack of a supporting cast on the offensive side of the ball is alarming. New York Jets: The Jets stay at #29 off their bye week, but chances are they move down next week. Why? Coming off a blowout loss to the Titans two weeks ago, the Patriots, also off a bye, face the Jets this week. Oh and Gronk will be back. Have fun Todd Bowles! Tampa Bay Buccaneers: Back to Jameis Winston it goes, but this time with no O.J. Howard who is now out for the season as he was placed on IR. But that is not a huge loss, as Winston loves his other Tight End Cameron Brate, who instantly becomes a fantasy football weapon. The Bucs still play no defense and let Eli Manning miss 1 pass all of last week. Yes, 1 pass. Yuck Bucs, yuck. Who does Walter Football think is the most overrated bad team in the league? Find out HERE. Buffalo Bills: The Bills move down as the Giants move up. Matt Barkley, Josh Allen, Jim Kelly, Frank Reich. All winning QB’s Bills. Ever thought you would hear that? The Bills still lack an identity on offense and are poor in almost every aspect of the game. The future is not bright in one of the dreariest cities in the country. Jacksonville Jaguars: As predicted last week on my All-Out Blitz show, the Jags beat the Steelers. Oh wait, they LOST??? Well then, that explains why they land at #26. A pathetic choke job against the Steelers where Blake Bortles was not trusted to finish off the clock and get them home. And that “vaunted” defense? Choked. Now talk is Jalen Ramsey may be on the market. Yeh, this ship is not sinking, it has sunk. New York Giants: Hoooooray they won a game…and now another! But will they make it 3 straight against a reeling defending champion? Eli looked outstanding last week, but again, that was against the worst defense known to man in Tampa Bay. I am not sold the Giants have turned the corner, as they beat two teams ranked below them. Now is a test. Beat the Eagles and we have a resurrection of sorts. A playoff team no? But one with fight, yes. Cleveland Browns: If you are a Browns fan, you are encouraged by what you have seen. A developing QB, RB and defense. Now it is time to improve the talent on offense. Get David Njoku going. Get a number one wideout to pair with Jarvis Landry. With 3 wins already this season, the year has been a success. Nowhere to go but up from here. Detroit Lions: The Lions look like they will get a major break this week as it is unlikely Mitch Trubisky will suit up against them on Turkey Day. Enter Chase Daniel. But what does not get easier, is the Lions will likely go into the game without Kerryon Johnson, who is poised to miss a few weeks. However, with Stafford, Riddick and Golladay, there should be enough firepower for them to keep it close. The Bears won 34-22 just a few weeks ago, but of course, that was with Trubisky. Make or break it time for Matt Patricia in year one. Miami Dolphins: The Dolphins finally get Ryan Tannehill back. So is THIS now the time he is going to show us whether he is a competent NFL QB or not? Yeh, did not think so. They are a .500 team that overachieved early and showed us who they really are since. Rebuild is the word, yet they need to embrace it. Denver Broncos: I must say the Broncos winning in LA against the Chargers last week was one of the more surprising results of the season. In fact, I was shocked. Since the Demaryius Thomas trade they played the Texans tough (in a game their coach botched) and beat the Chargers. Not a bad two-game stretch for the Broncos. Green Bay Packers: Big lead against Seattle, in total control and blow it. If Aaron Rodgers is going to save his marriage with Mike McCarthy, which it seems like he does not want to, he better start now. The HC let Aaron Jones rot on the sidelines for too long and for many Packers fans, that will rightfully cost him his job. Get the team healthy and ready for 2019. Atlanta Falcons: Another one of the most disappointing teams of the year. And what do they get for a Turkey Day present? A beating from the best team in the league. The Saints put up 40 in their last meeting which was in Atlanta. Now on Thanksgiving, at night, after the fans have had all day to “prepare”, the Falcons are in trouble. Tennessee Titans: A week after their huge victory against the Patriots, the Titans show they cannot hang with the Colts. HUH??? An ugly loss that got worse by the fact Marcus Mariota left hurt…again. Another team literally “stuck in the middle”, it is clear they play hard and get up for big games…every other week. Cincinnati Bengals: Maybe A.J. Green should be the MVP? In missing their last 2 games, the Bengals offense is a train wreck, as Dalton looks lost. A blowout loss at home to New Orleans and an ugly road loss to Baltimore (and Lamar Jackson), has put the Bengals in must-win territory. Not a good position to be in given their awful defense, which yet again looked like an amusement park ride letting everyone through the gates. Put it this way. Lamar Jackson and Gus Edward…who??? Yes, Gus Edwards, BOTH ran for 100 yards. Philadelphia Eagles: The Eagles are done. They will not win the NFC East. They are a shell of their former self. They acquire big play wideouts that have done nothing. Their running game is a four-headed monster with no leader. And the Super Bowl hangover is real. Just wait for the Giants fans to pound on the corpse if they ever were to win this weekend. Seattle Seahawks: Despite the comeback win against the Packers I am not sold the Seahawks will contend for a playoff spot this season. Their offense is too reliant on the run, they lack playmakers out wide and in a conference featuring Big-12 esque offenses, they cannot match that. Great job by Pete Carroll, but not a contender by any stretch. Baltimore Ravens: The Lamar Jackson era is now. He looked solid in his pro debut as a starter beating the Bengals at home. He will continue to get comfortable in the passing game and I love what I saw him on the ground. A game changer for a team that needs to move on from Senor Flacco. Washington Redskins: The Skins move into this category not because of their loss last week, but with the season ending injury to Alex Smith, there is virtually no way Colt McCoy will be able to pick up where he left off and get them to the playoffs. The Skins will be lucky to win 2 more games given his lack of skills, not to mention the lack of wide receiver talent and aging back in AP. With tons of other guys banged up, it will be a long stretch drive for the Skins. Indianapolis Colts: I continue to be impressed with the Colts resurgence and with how well Andrew Luck has played. Marlon Mack is a solid back, TY Hilton continues to be an under-appreciated big play threat and the defense is doing enough to keep them competitive. Right on the cusp of being a pretender, Luck is one or two offseason tweaks away from getting this team back into true playoff contention. Carolina Panthers: If you are a true contender, you do not lose road games, that mean something, midway through the season, to a Lions team down to bare bones on offense. Going for two is one thing. Playing for overtime was the right call. Riverboat Ron screwed that up and now the Panthers are on the outside looking in. Minnesota Vikings: Another team that I cannot figure out is Minnesota, who laid an egg in Chicago last week. Are they talented enough to beat anyone in the NFL? Yes. But can they look pathetic other weeks? Yes. My concern is them playing outdoors, in the elements, in the playoffs. Thankfully for them, LA, New Orleans and Dallas are not bad. But if they make the playoffs and are forced to venture to Chicago or Carolina, sayonara. Dallas Cowboys: Nice two game winning streak here for Dallas, which should get to three after beating the Colt McCoy led Redskins this week. With Philly done and Washington playing their backup, it is Dallas’ division to lose. Don’t blow it Jason Garrett! Chicago Bears: Enough doubting Matt Nagy and the Bears. They are 7-3 and played extremely well all-season long. 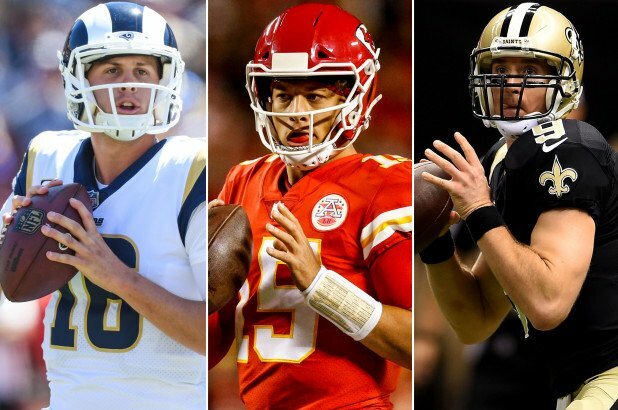 They are in a very tricky spot going to Detroit, on the short week, especially with Chase Daniel likely to play quarterback. Regardless of that outcome, if they get Mitch Trubisky back next week, they should win the NFC North. Los Angeles Chargers: I am not ready to write off the Chargers just yet. Yes, the loss to Denver at home was ugly, but they are first getting Joey Bosa back and the offense is still potent. They should get healthy this week against Arizona before a showdown in Pittsburgh. The biggest issue for San Diego is whether they can catch Kansas City for the division crown, or else they are headed on the road for most of their playoff path. Houston Texans: Winners of seven in a row, the Texans will win their division. Their key, much like the Chargers, is to get homefield for as many rounds as possible. Will they go to Pittsburgh, New England or KC and win a playoff game? Doubtful. And with this Texans team, which proves every year they are not ready to take the next step, is this finally the year it happens? Pittsburgh Steelers: The Steelers were lucky to escape Jacksonville with a win. Bad coaching led to that win, but the story of the Steelers season will be written in their next few games as they travel to Denver (not an easy place to play), host the Chargers, bye week against Oakland, then host the Patriots, then on the road in New Orleans. That is a hard stretch. Lets see how they finish after that before determining whether this team has the cajones to make a deep playoff run. New England Patriots: A week removed from the ugly loss to the Titans, the Patriots come off the bye with two great elixirs. A game against the Jets and the return of Gronk. To me, the Pats are still the second-best team in the AFC and can still expose the Chiefs in the playoffs. But it is winning time for TB12 and it starts this week on the road in Met Life Stadium. Kansas City Chiefs: I wanted to go 2a and 2b, but the Rams did win the game. The Chiefs are for real, as evidence by their two losses being one possession setbacks. Their offense is incredible, yet their defense is atrocious. Will that be their Achilles heel come playoff time? Will it be Patrick Mahomes carelessness with the ball? Can’t wait to see how this show plays out. 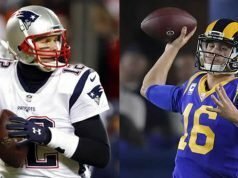 Los Angeles Rams: Can we end the season now and skip to the part where the Rams and Saints play another game in the NFC Title rematch? The Rams are incredible on both sides of the ball and did everything they could to triumph against the Chiefs. No Cooper Kupp is a problem, but the emergence of Gerald Everett and Josh Reynolds was a great development. McVay is the best coach in the league and he showed why Monday. Oh and Aaron Donald? That guy deserved to get PPPPPPAAAAIIIIDDDD! Are the Saints a unanimous #1? Are the Pats out of the top 5? We get another opinion right HERE. New Orleans Saints: Longest winning streak in the league, have not lost since opening day, ability to win on the road and blow out good teams. Drew Brees is on track to league MVP number 1….finally! Rinse and repeat until they lose.